Damaged brain tissue. Confocal light micrograph of a section of damaged brain tissue. Dead neurons (nerve cells, blue) are being removed by macrophages (red) a type of white blood cell that phagocytoses (engulfs) damaged or foreign cells. The damage may lead to the formation of a scar. 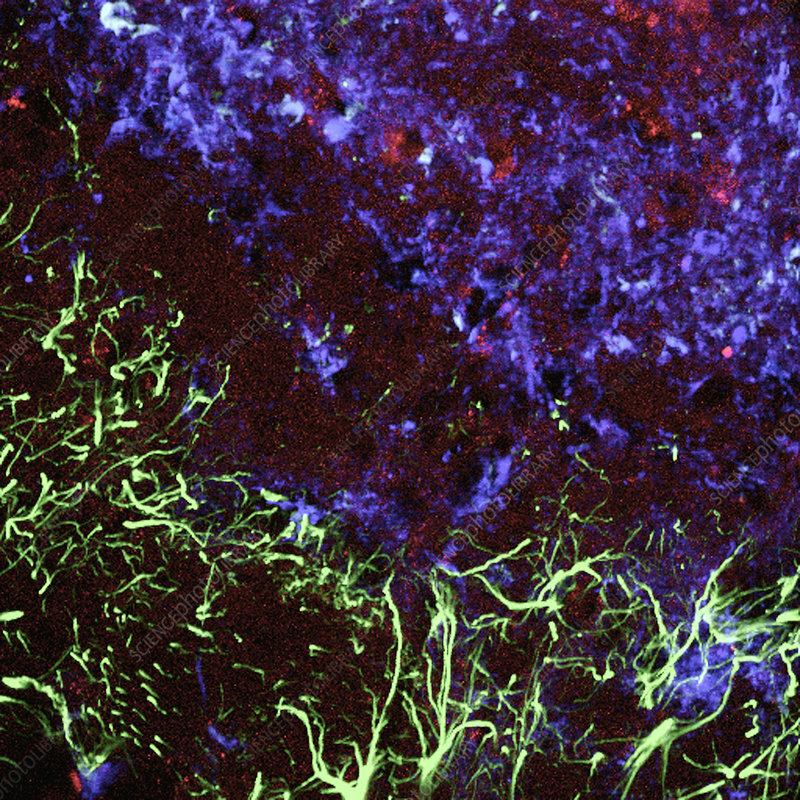 Enlarged glial cells (green), a type of support cell, are also seen around the damaged area. Glial cells provide structural support and oxygen and nutrients to neurons.